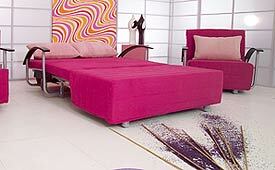 YATSAN seating groups can be arranged to suit your rooms, your style and your family. YATSAN build quality into every piece of furniture, so however many times you move them around (or your rental clients do), they'll still look stylish and smart. From the funky duo-tone of Flower and Arvenge, to the refined elegance of Arpine, there is a YATSAN sofa and chairs set to suit your North Cyprus lifestyle. 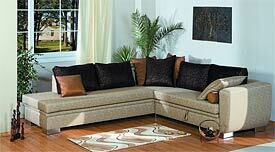 Our sofa corner sets enhance any room, from the laid-back recliner style of Zen to the statement colours of Katia. In fact, all our seating groups are available in a rage of colours, and we can usually deliver any colour available within 10 days of your order. 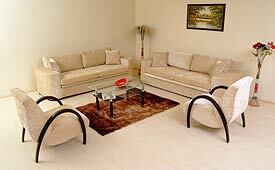 So, no long waits for your North Cyprus furniture to be delivered! For an extra bed in your North Cyprus villa or apartment, several of our stylish sofas opens out to become an adult-sized double bed, while your Arcansu armchair neatly folds out into a single bed. These durable yet beautifully designed sofa beds and chairs are ideal for when family and friends come to stay, or as an extra bed option for your North Cyprus villa for rent. Our furniture store in Lefkosa (North Nicosia) is just 20 minutes' drive from Kyrenia, and easy to access from all parts of Northern Cyprus. 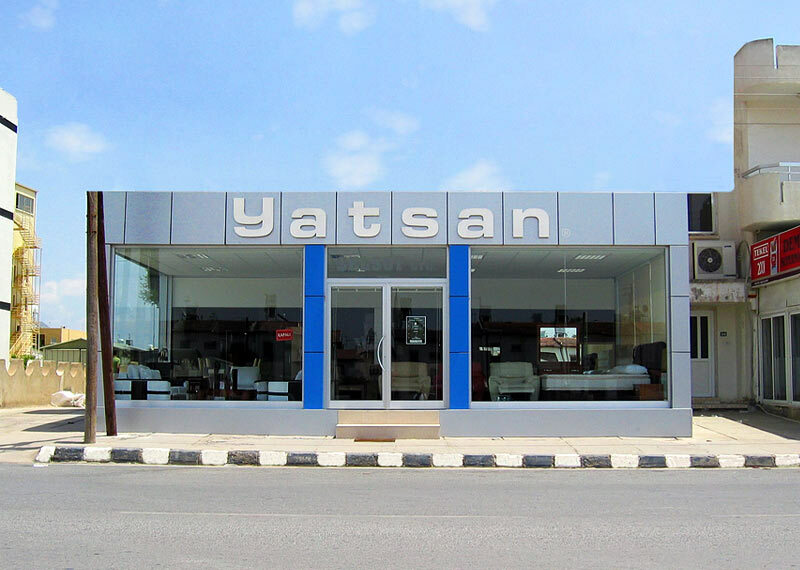 Unlike other furniture shops in Northern Cyprus, our air-conditioned showroom is open from 9am to 7pm weekdays, and on Saturdays from 9am to 1pm.